402 East Scott Street, Wichita Falls, Texas 76301. GPS 33-degrees 54' 0.9" N 98-degrees 23' 54.6" W.
Wichita County Water Improvement Districts No. 1 and No. 2 played major roles in the agricultural development of Wichita County. By 1900, Joseph Kemp, whose business activities were vital for the growth of Wichita Falls, developed plans for irrigation, leading to the construction of Lake Wichita. By 1914, Kemp and his brother-in-law, Frank Kell, filed a plat for irrigation subdivisions. 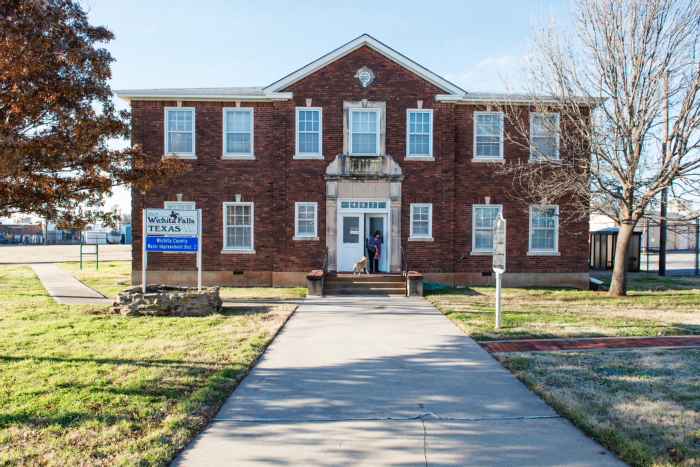 They hoped agriculture would become the backbone of Wichita County's economy, even after the area later experienced an oil boom. In 1919, Water Improvement District No. 1 organized, consisting of 15,543 acres including all of Wichita Falls and areas to the north, south and east. In 1920, District No. 2 formed, encompassing 76,784 acres west and northeast of the city. Under the leadership of Kemp, Lake Kemp and Lake Diversion, two large reservoirs with a gravity irrigation system, were constructed between 1921 and 1924. 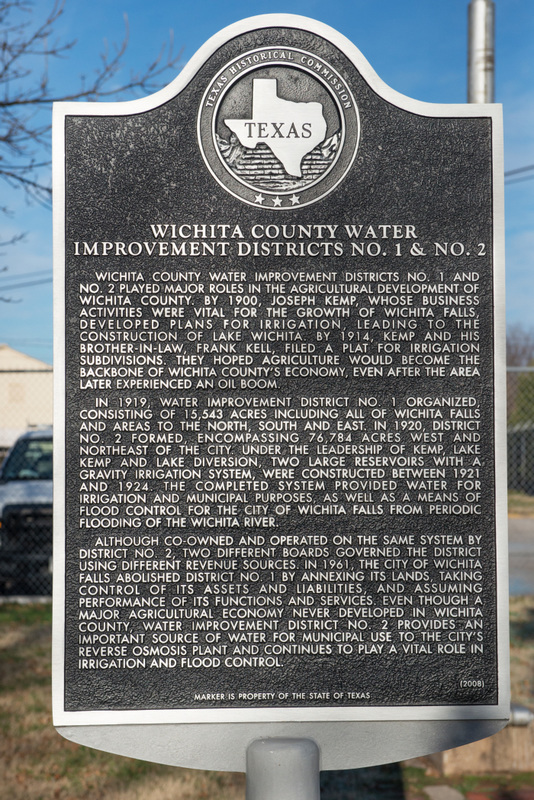 The completed system provided water for irrigation and municipal purposes, as well as a means of flood control for the city of Wichita Falls from periodic flooding of the Wichita River.